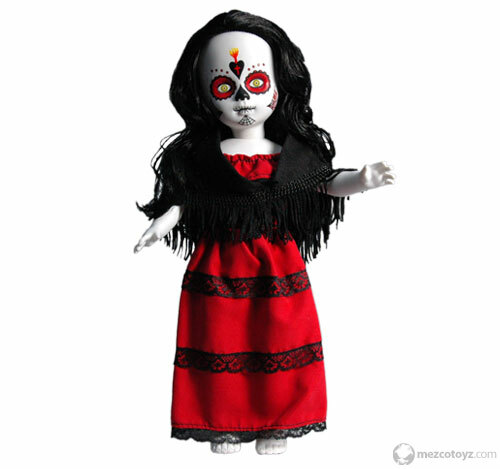 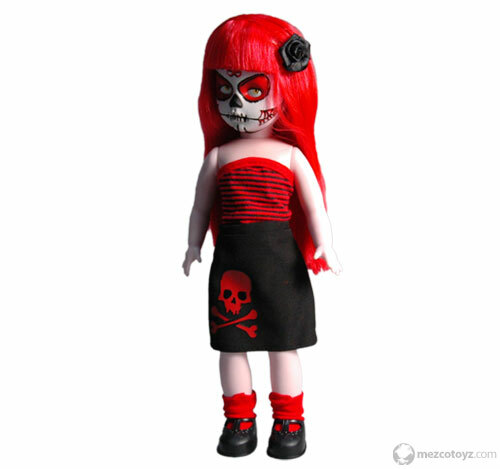 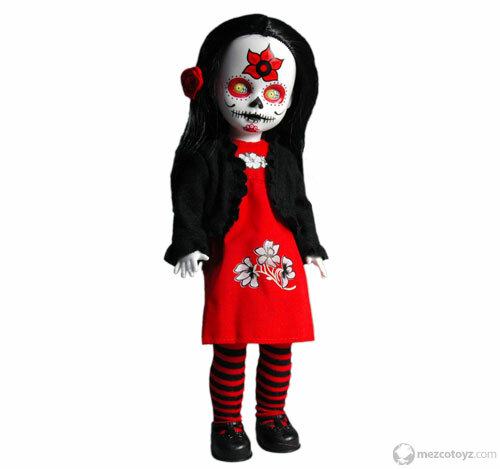 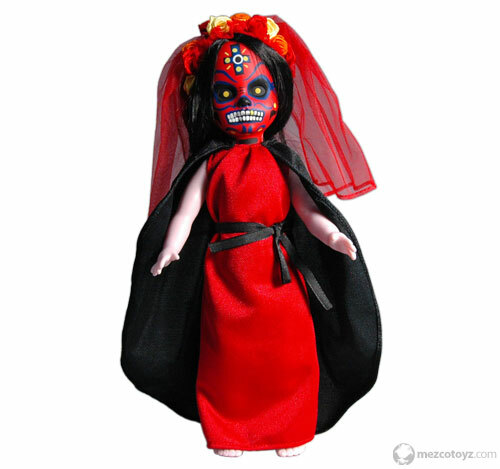 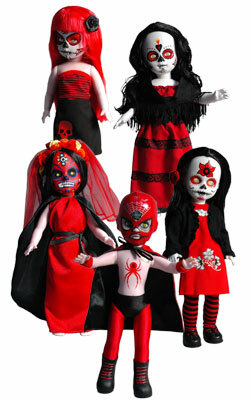 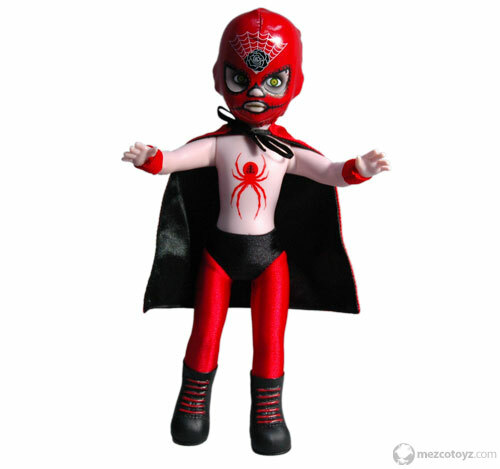 Collectibles / Misc / Mezco Reveals Living Dead Dolls Series 20: Day Of The Dead And More! 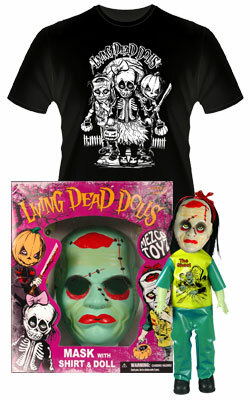 Also included in this bundle is Mezco’s best Halloween treat ever: Three retro Halloween-themed boxsets that include an old school-styled plastic mask, exclusive 10″ doll and a coordinating T-shirt (XL only). 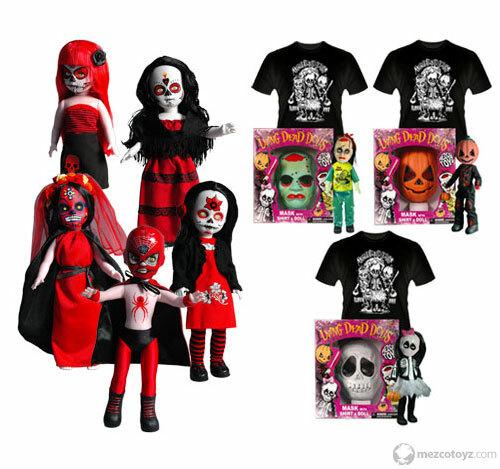 The trio consists of three of the most popular Halloween Living Dead Dolls ever created: Calavera The Skull, Pumpkin- The Jack Oˆ Lantern and Gabriella- The Ghoul. 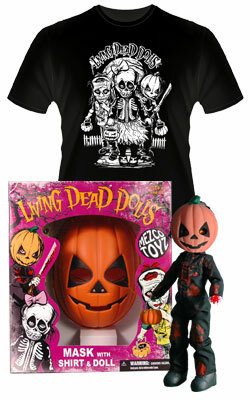 Each set harkens back to your favorite childhood Halloween memories with an adult-sized plastic mask with elastic straps, cut-out eyes and mouth hole; a limited edition exclusive Living Dead Doll with glow-in-the dark mask that coordinates with the set; one exclusively designed extra large tee shirt by Dave Cook and packaged in a fantastic retro-style Halloween costume window box. 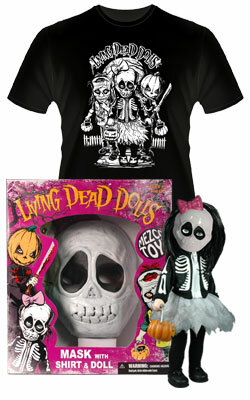 This set is extremely limited and will ship in mid-October.